Located on the north western side of Greece, Corfu has a cosmopolitan feeling combined with a special traditional character mostly due to its strong historical connection with Europe it charms her visitors with the Venetian, French and British style characteristics combined by the wonderful beaches and the stunning inland green nature landscapes. 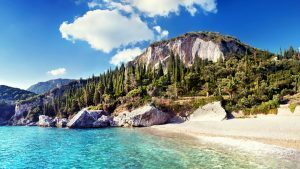 Corfu offers many and different kind of beaches that can be found around the island from North to South, either you like sandy ones or pebbles ones all crystal clear blue waters. Paleokastritsa, Sidari, Kassiopi, Acharavi, Benitses, Moraitika, Marathia and Ag. Georgios (south or north) among others, are nice tourist places of the island, while the inland is dotted with lovely villages and many sightseeings. 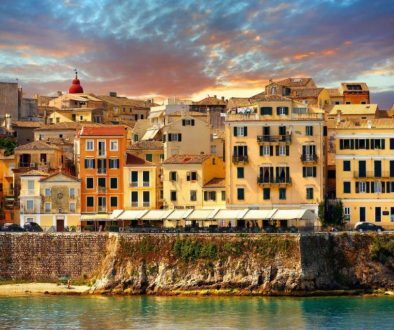 Visiting Corfu can be a great experience for families, couples or group of friends, as it offers something special for everyone. 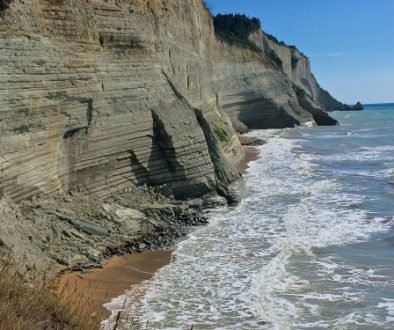 Sited South of Corfu, Mega Choros is one of the biggest south west-coast beaches that offers clean sand and amazingly green nature as it lays at the end of a long, lush agricultural valley. Mega Choros beach ends in a very small port of few fishing boats, perfect for long relaxing days under the sun. 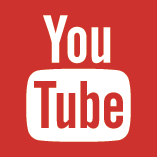 We consider this, one of the best ones all over the island. 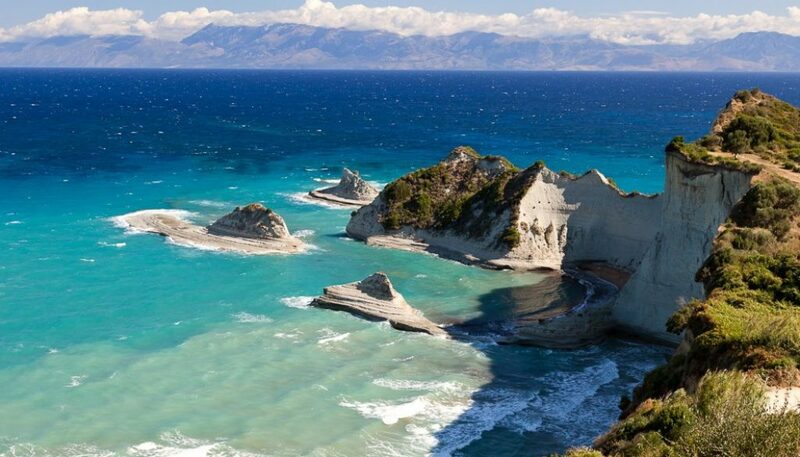 At the end of it you can find Megali Lakkia, which is the end and southest point of Corfu island. 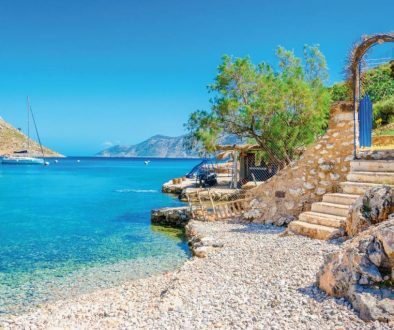 Personally our favourite one in the South of the island, Megali Lakkia offers a long golden sandy bay, hot sea waters and undefinable nature beauty. On half way of the long road to reach the beach you will find a unique and only coffee spot where if sited at the view terrace you can embrace a breathtaking view. Perfect spot for intimate moments …or if you would like to propose. 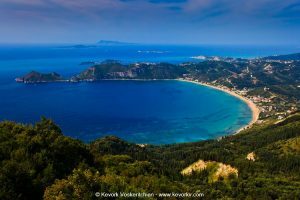 This is the southernmost part forestry areas of Corfu and the last point of the island. 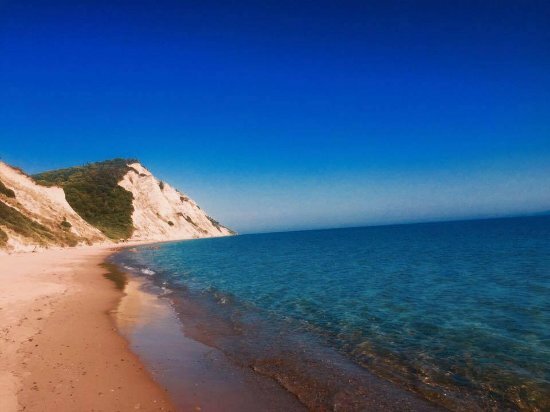 Reaching Asprokavos through a tough down road you will arrive at one rocky cliff, beneath which lays the spectacular, endless Arkoudilas beach where a long extended sandy beach shore will trap your eye and your ears will hear a deep rumbling sound produced from the waves. Here, in the hot days of August you can have the chance to have a close meet with the famous turtles Caretta-Caretta, either giving birth either swimming with you. Arkoudila is a perfect spot for long walking in the sand, camping or have some intimacy. Difficult to reach but worth it. 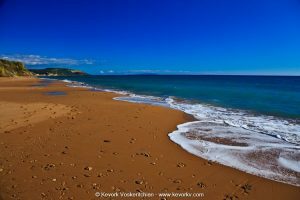 Between Arilla and Angkelokastro you will find this two-kilometre beach in Corfu’s far northwest is never completely packed out even in peak season. The water at the northwest the water is reputed to be some of the cleanest in the island but also cold as the bay is very open and long. Great for sailing and windsurfing in times where Northwest breeze blows. 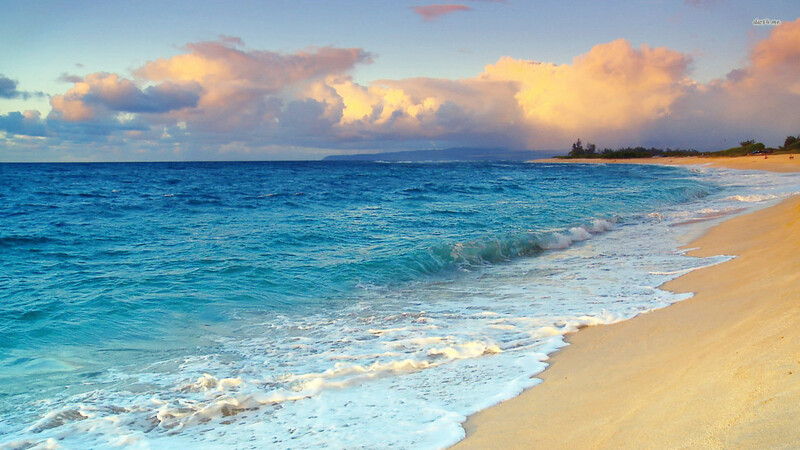 Undoubtedly one of the most overwhelming beaches in the North of the island.